The health of the coral reef in the Gulf of Eilat, like that at many reef sites worldwide, has declined over the past four decades. More than a decade ago, IOLR-NIO scientist Dr. Buki Rinkevich suggested a novel approach for reef restoration that may stem the reefs’ decline. Why not grow new corals and transplant them onto declining reefs? After all, the world’s forests have been cut down and replanted successfully. First, he started coral “seedlings” in the lab and raised them in mid-water floating nurseries offshore. Second, he transplanted the coral “saplings” that grew from the nurseries to the reef itself. IOLR’s working hypothesis is that conventional reef restoration approaches, which involve protection of reef areas from further damage, do not achieve conservation objectives. The reefs continue to degrade while we wait passively for coral growth to recover and reverse the decline. Improved passive management does help in reducing the pace of degradation and it is necessary, but it is not sufficient. Global changes in water temperature, acidity, pollution, nutrient runoff, overfishing, coastal development, and overuse are overwhelming and foretell a dismal fate for the coral reefs. Dr. Rinkevich believes that the future of the reefs is dependent on “active” management – the establishment of large-scale nurseries and the transplantation of their products. Active restoration in addition to conventional passive reef management is needed to reverse reef degradation. 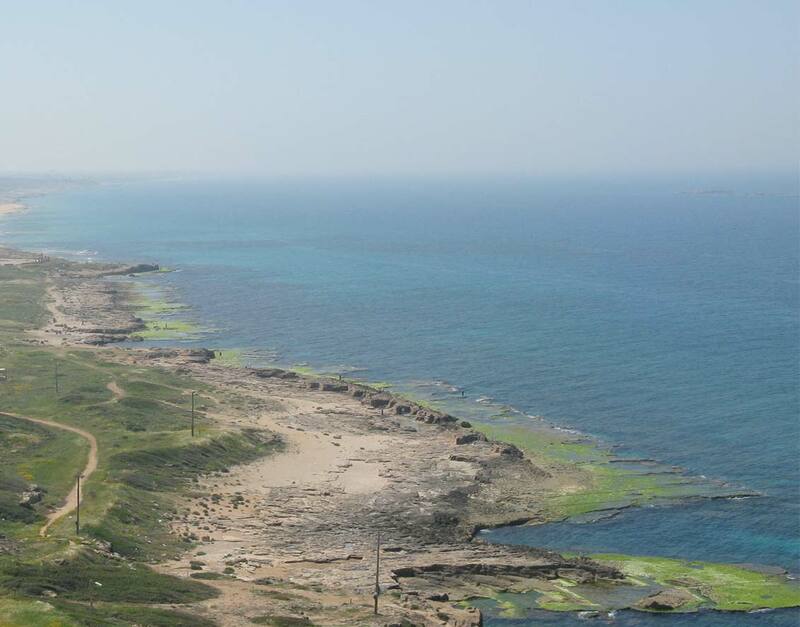 To test these theories, in 2008 the first batch of several hundred nursery-farmed coral colonies were “planted” onto a denuded reef area at Dekel Beach, Eilat. For each coral, a hole was drilled in the rock and a coral-bearing plastic pin was inserted and held into place with underwater epoxy glue. Two years passed and the colonies survived and flourished – high growth rates and high reproduction rates attest to their excellent health. The nursery-grown colonies became nursery sites for coral fishes and many crabs, bivalves, worms and other invertebrates that live in close association with the corals. Researchers continue to study the coral gardens and watch for new recruitment of associated creatures at the site. 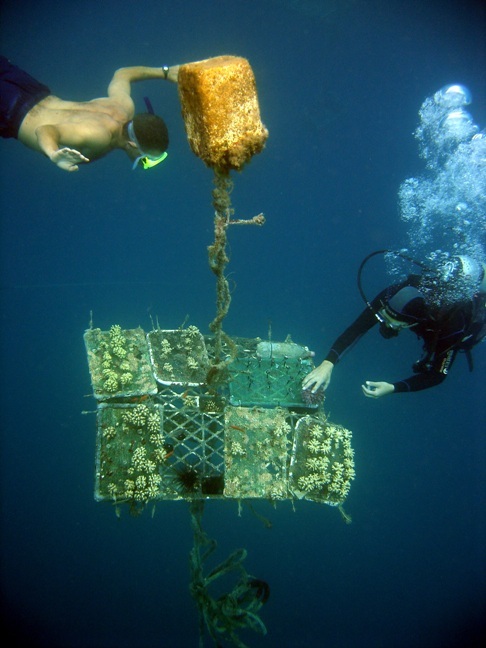 In the decade following the initial studies in Eilat, several studies conducted in Southeast Asia (the Philippines, Thailand and Singapore), Jamaica and Zanzibar, tested the feasibility for attaching and growing corals in floating nurseries. These studies aimed to develop detailed protocols. The research has been supported by the US-AID, the European Community and the World Bank. Effort has been made to bring down the costs of raising and replanting coral colonies. Today, a coral colony can be raised and replanted onto a reef for approximately US$1. And IOLR’s coral aquaculture technology has been shared with the scientific community, so the know-how is available to reef restorers everywhere. Can coral gardening on a massive scale reverse the trend of global decline of the reefs? Can the “rainforests of the sea,” which are hotspots of biological diversity and which support the oceanic foodchain, be saved? But thinking smaller may not be enough to save the coral reefs.